This is the third in a series of stories about Sam, a fictitious coaching client who is a composite of many I have worked with over the years. In the first post, I introduced Sam, a Marketing VP in a global manufacturing company. He had been rubbing some people the wrong way and didn’t much care. In the second post, he talked about his leadership role models, after which he kicked off his 360-degree feedback process. Consider feedback a gift. People voluntarily spend precious time and energy to respond to your request for it. Look at the whole picture. Achievers like to obsess about their shortcomings and dismiss their strengths. This only brings you down and doesn’t get you anywhere. Decide where to focus. If you try to change everything that isn’t perfectly in balance, you won’t make progress anywhere. Besides, improvement in just one or two important areas goes a long way. Sam vented for a while, vacillating between anger and depression. Once his amygdala settled down, we reviewed those four tips, and he was able to focus. We had used the Tilt 365 Positive Influence Predictor, which measures character traits, as opposed to competencies, with an emphasis on leadership presence and creating a climate for innovation. Sam’s report was clear: he was a courageous and resilient leader, full of confidence, ingenuity and tenacity. He was decisive, assertive, passionate and compelling. His direct reports (contrary to the other raters) said he was appreciative and reflective, as well. He had plenty of good stuff going for him. 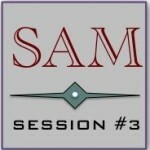 The 360 process included self-ratings, and as is often the case with high achievers, Sam was pretty hard on himself. But his chances of making substantive changes were slim if he couldn’t acknowledge and understand his many strengths. His self-esteem (not to be confused with confidence) had taken a big dive since he had gotten his report. If we had spent the rest of our session digging into his shortcomings like he was dying to do, he would have left our coaching session feeling defeated and miserable. That’s a lousy place to start working on becoming a better leader. So we looked at his positive character traits and talked about how each had contributed to his success. Then he agreed to do a couple of things before we were to meet again. Homework assignment #1: Pay attention to how you use your strengths and look for the positive impact you have in those situations. Write about those specific occasions in your journal, including how you felt at the time. Homework assignment #2: When you have a frustration or a setback, write about that too, again including how you felt. Was there a positive trait that showed up a little too much and got in your way? It was a good session. By the time he left, he was a calmer, slightly more reflective version of his old self. You’re not talking about me, are you? If the shoe fits, Sis … Let me put it this way: I don’t know anyone who thinks only positive thoughts about themselves, including arrogant people and narcissists. (Especially them!) Our challenge is to know what our talents are, be glad we have them and do the best we can with what we have. That’s hard to do if we’re in a constant state of angst over what’s wrong with us. Glad to learn about amygdala, it explains a lot about human behavior especially in a marital relationship. I think your approach to focus on the positive traits is excellent. I believe Sam’s on a journey of enlightenment that will lead him to be even more respected and successful in the future IF he takes these lessons to heart.